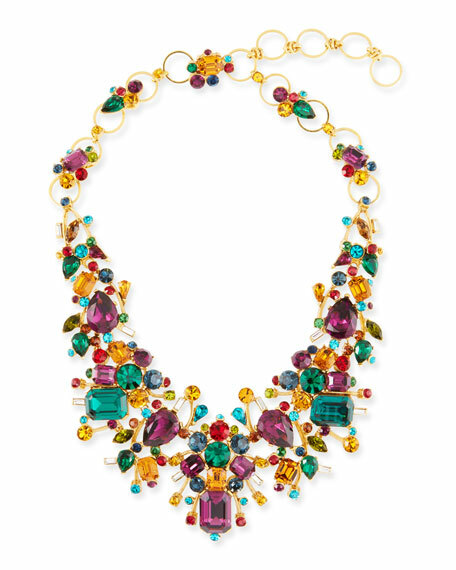 Jose & Maria Barrera multicolor necklace. Signature 24-karat yellow gold plating. Fashion jewelry leaders Jose and Maria Barrera are renowned for bold designs bedecked with dazzling crystals and glittering semiprecious stones. From chandelier earrings to sophisticated statement necklaces and fabulous cuffs, their unique creations have accented the wardrobes of many celebrities and fashion photo shoots.